A simply delicious stir fry is so full of nutrition with a medley of colorful organic vegetables paired with lean and healthy heritage beef from your local CMO farm or natural food store! A simple to prepare meal that is economical, healthy, totally delicious and completely nutritious with the full spectrum of protein, carbohydrates, vitamins and minerals! What else can one ask for in a meal! Lean grass fed heritage beef is just full of CLA, the healthy fat that keeps you trim and is also anti-carcinogenic! If beef is not your choice then by all means replace the protein with chicken, pork or tofu!! 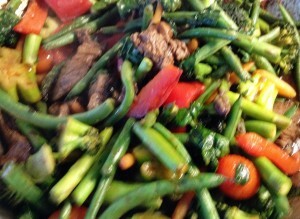 I serve this dish with a jasmine or sushi rice or soba noodles and a seaweed cucumber salad! So good! 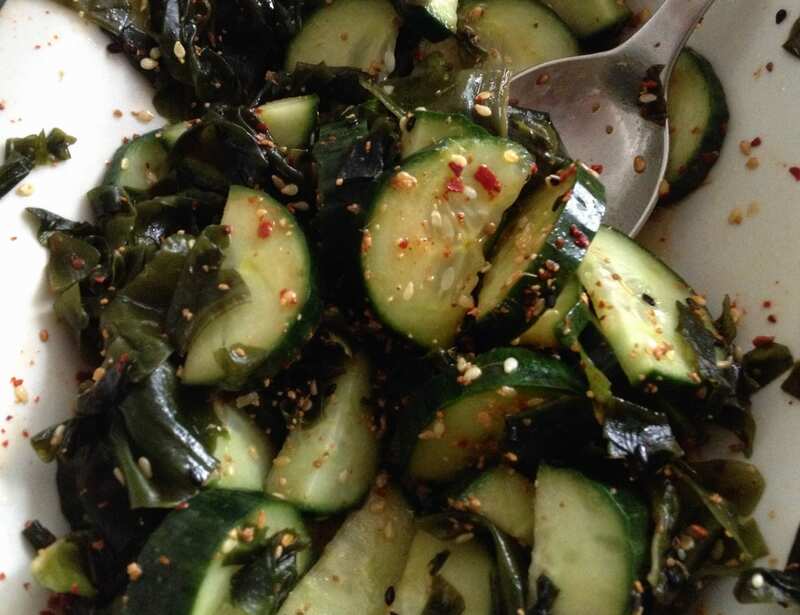 Seaweed is probably the most nutritious vegetable on the planet full of health giving minerals!Easy to use in many dishes for a boost of salty umami flavor; but in this salad Wakame seaweed is the star paired with crispy cucumber and bathed in the nutty flavor of toasted sesame oil! This is delicious! Try a Riesling wine. Drain the seaweed and in a serving bowl mix all ingredients together, that’s it!